We are one of the leading manufacturer, supplier, service provider & exporter of Guest Cottage. Our other products are Industrial Sheds & Warehouse, Steel Shipping Container, Modular Toilets and many more. Our company is involved in the manufacture and trade of spacious and portable Portable Cottage that can be availed in several dimensions and shapes. Widely appreciated for their ease of installation, assembling and dismantling, these lightweight box cottages are quite popular among our valued customers. 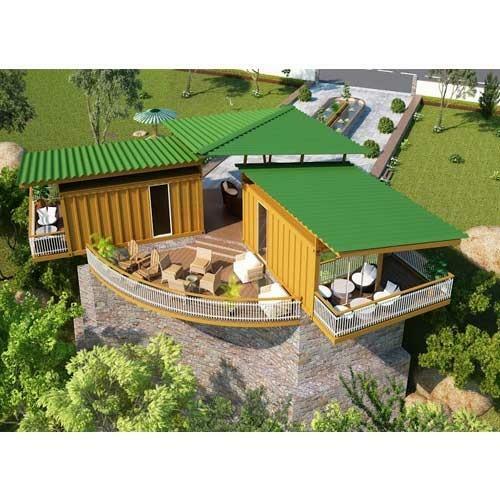 We make use of advanced technology based machines for constructing these cottages. Cuboid is the reputed name of the industry that manufactures and trades a wide series of Prefabricated Cottage. Particularly designed and developed to fulfill the varied client demands, these spacious boxes can be availed in several dimensions and shapes. Owing to its ability to tolerate harsh environment conditions, the proposed range is vastly popular among out valuable customers.